List Rules Vote for your favorite Friends episodes, no matter how popular they are. List of the best Friends episodes, as determined by voters like you. With all the amazing episodes of the show that exist, it's hard to trust just one person's opinion of what the top Friends episodes of all time are. 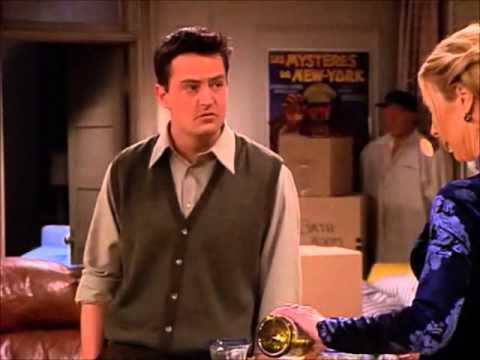 Make sure to also check out the best Joey and Chandler BFF moments and famous Friends guest stars and cameos. Fans of Friends are very passionate about the show, and there are often debates over which episodes are the greatest. That's why this list exists- so you can vote for your favorites and we can find out once and for all what everyone thinks the best episode is. Featuring Chandler, Rachel, Ross, Monica, Joey, and Phoebe, NBC's Friends is one if the funniest and best sitcoms of all time. With 236 episodes over 10 seasons, there so many great and unforgettable moments that make Friends still watchable today. "The One Where Everybody Finds Out" and "TOW the Embryos" are a great starting point for your to rank your favorites on this list What is the best Friends episode of all time? Look below and find out which episodes have those funny moments. Chandler plans to propose to Monica at dinner, but his plans go awry when Richard shows up. Phoebe and Joey join Rachel at a charity auction. List Rules: Vote for your favorite Friends episodes, no matter how popular they are.